Week 11, March 27th/29th: Late Medieval Developments: Conversions, Frontiers, Collisions, and Interchanges. Ilkhanids, the Sultanate of Delhi, and Seljuk and Post-Seljuk Anatolia. Reading 1 (March 27th): Brack, Yoni. “A Mongol Princess Making Hajj: The Biography of El Qutlugh Daughter of Abagha Ilkhan (r. 1265-82).” Journal of the Royal Asiatic Society 21, no. 3 (20110701): 331–59. Questions: What factors allowed someone like El Qutlugh to act with such a degree of independence? What were the limitations to this independence? What were the expectactions placed upon a noble Mongol woman? How did they mesh with the expectations in the Persiante, Islamic societies which the Ilkhanids ruled? What was El Qutlugh’s relationship with the Mamluks like? Why did she seem to attract some degree of attention and admiration from Mamluk authors and others? How far apart in cultural and other terms were the Mamluks themselves from the Mongol Ilkhanids? Why does Brack suggest El Qutlugh herself worked to maintain good ties with the Mamluks? How did El Qutlugh reconcile or balance her Mongol commitments to her embrace of Islam? How did she combine ‘religious’ and ‘political’ goals while going on pilgrimage? Reading 2 (March 29th): Waines, David. The Odyssey of Ibn Battuta: Uncommon Tales of a Medieval Adventurer. Chicago; London: The University of Chicago Press, 2010. Questions: What was Ibn Battuta’s attitude towards food? What strictures and practices derived from Islam might have guided his eating habits? What other elements of cultural background might have been important to him? How did food relate to Ibn Battuta’s interactions with Muslim holy people? Did he have any marked preferences for food or for places of hospitality? What kinds of social roles did food play in the places he visited? Why did he record the food and hospitality he enjoyed do you think? The iron column- probably of fifth century construction, repurposed for use in the Quwwat al-Islam Mosque- that Ibn Battuta describes with awe. From the Islamic Art and Architecture Collection (Sheila Blair, Jonathan Bloom, Walter Denny). Reading 3 (March 29th): Ibn Battuta. Excerpts from Travels in Asia and Africa 1325-1354, translated and edited by H.A.R. Gibb. London: Broadway House, 1929. Questions: What sorts of things does Ibn Battuta describe from his stay in Delhi (of the Delhi Sultanate)? Are there details that you might expect but which he leaves out? What arouses his interest? How does he depict non-Muslims? How does he depict ‘the sultan’ (Muhammad ibn Tughluq)? What does Ibn Battuta think of other individuals included here? How would you describe the effect generated by the court ceremonial described here? How ‘Islamic’ is Muhammad ibn Tughluq’s court? What elements of personal- autobiographic even- narrative does Ibn Battuta include in this section? What did Ibn Battuta do in Delhi in order to make money? Sakhi commands a wide range of styles on this venerable instrument, embodying in contemporary form the kind of cultural cross-pollination and development that we see in the Mongol and post-Mongol eras. That, and his music is really just incredible! Week 8, March 6/8: Adab, the ‘Islamic’ City, Literature, and Political Culture. The Rise of the Seljuks, the Crusades, and Varieties of Islamic Response. A reading session, from a c. 1250 version of the Maqāmāt, produced in Baghdad, now held as John Rylands Library Arabic MS 680 ). Reading 1 (March 6): Abū al-Faraj al-Iṣbahānī, Patricia Crone, and Shmuel Moreh, The Book of Strangers: Medieval Arabic Graffiti on the Theme of Nostalgia, Princeton Series on the Middle East (Princeton, NJ: Markus Wiener Publishers, 2000). Questions: These entries, which follow no particular pattern, all have in common the role of ‘graffiti,’ or, less anachronistically, ‘wall-writing,’ which the compiler/author claims to have either himself seen or to have heard about. As you will see as you read, the entries vary from short descriptions of such graffiti, to much longer stories which involve an instance of wall-writing only as part of the narrative. As such this text is a nice cross-section of ‘secular’ literary culture, beginning with the widespread practice of wall-writing, which, unlike in the modern world, did not have the stigmata of criminality attached to it. As you read these various stories, ask yourself: to what extent do these tales and lines of poetry reflect an explicitly or distinctly ‘Islamic’ culture or setting? What role do non-Muslims play in these stories, and how are they depicted? Many of the practices described in these stories are either explicitly forbidden by the sharī’a, or are at best ambiguous (treasure-hunting, for instance). Do the narrators and/or the compiler see this as a problem? How do they resolve the tensions, if they do so at all? Reading 2 (March 6): Muḥammad ibn Khalaf Ibn al-Marzubān, G. R. Smith, and M. A. Abdel Haleem, The Book of the Superiority of Dogs over Many of Those Who Wear Clothes (Warminster, Eng. : Aris & Phillips, 1978). Questions: This excerpt is part of a short treatise extolling the virtues of dogs- animals with an ambiguous profile in medieval Islam. How does the author defend the virtue of the dog? What seems to be the social role of the dog? Are all dogs equal, as it were? Sound: The following album, by the master of the oud and of maqāmāt music, Munir Bashir and his brother, is a good sonic representation of the sort of multifaceted cultural world of adab depicted in the above sources. Munir Bashir was an Assyrian Christian from Mosul who became known as one of the masters of the Arabic classical tradition, music with genealogical roots in the elite cultures of the early medieval Islamic world. He drew upon many styles and repertoires, both embodying tradition and transcending it, his work a good example of the complexities of labeling culture and art as ‘Islamic’ or ‘Middle Eastern,’ terms which can obscure as much as they reveal. Mukhtar al-Hikam wa Mahasin al-Kalim (‘Choice Maxims and Finest Sayings’) by al-Mubashshir. Syria, beginning of 13th century. Ahmed III 3206, folio 19b. Reading 3 (March 8): Usāmah ibn Munqidh. The Book of Contemplation: Islam and the Crusades. London: Penguin, 2008. Usāma ibn Munqidh was a representative of the Muslim military and administrative elite that flourished during the medieval period, and who embraced the culture of adab. Born into a family of local rulers in Syria, Usāma would end up becoming something of a hired gun for rulers and would-be rulers across the Middle East, working for the ruler of Mosul, Zangī, as well as various individuals in the splintering Fatimid caliphate, followed by various other positions, ultimately coming into the employ of Saladin. He acted as an ambassador, warrior, administrator, and man of culture, roles which brought him into contact with all sorts of people in the Islamic world, as well as the ‘Franks,’ the Crusaders resident in the newly established Crusader States. As an adīb- someone proficient in the arts and literature of adab- Usāma wrote many different works, only some of which have survived into the present. The book from which these excerpts are taken is a series of stories and anecdotes, many taken from Usāma’s own life, that broadly have to do with the vagaries of fate and the inscrutable nature of God’s will. In the selection given here, Usāma discusses, among other things, instance of the bravery and intelligence of women, as well as interactions with the Franks and his own estimation of their virtues and vices. Questions: how would you describe the way of life that Usāma seems to have followed? What kinds of values and skills did he embrace and regard as important? To what extent does the fact of his being a Muslim seem to matter to his narratives? What is the role of women in these stories? How does Usāma regard ‘the Franks’? What does he admire about at least some of them? What constitutes a ‘good Frank’? Week 6, February 20/22: Sciences, Philosophy, Theology, and Sufism: The Emergence and Formation of Systems of Knowledge and Practice in the Early Medieval Islamic World. 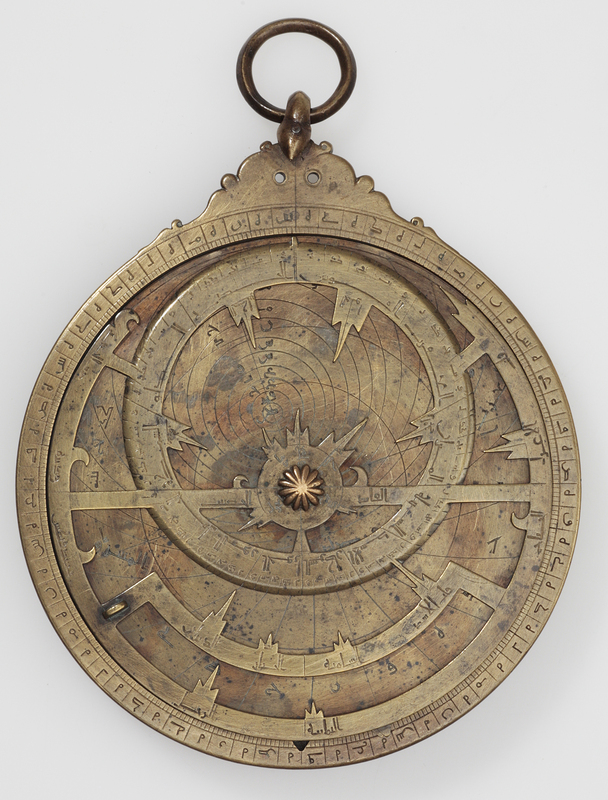 Planispheric Astrolabe (Khalili Collections SCI 430), made in North Africa, 9th century AD, brass, cast, with fretwork rete and surface engraving. 18.5 x 13.2cm. Reading 1 (February 20): Pierre Lory, ‘Divination and Religion in Islamic Medieval Culture’; Christiane Gruber, ‘From Prayer to Protection: Amulets and Talismans in the Islamic World,’ in Power and Protection Islamic Art and the Supernatural. Oxford Ashmolean Museum, 2016.. Questions: For Lory: What sorts of ‘sciences’ does Lory discuss in this chapter? What was the ‘official’ Islamic scholarly stance towards these various disciplines? Was it invariable? Why were some ‘divinatory’ disciplines more respectable than others? Were Islamic societies in agreement on the relative value of all of these disciplines? To what extent can these various practices and systems of knowledge be described as ‘Islamic’? Why or why not? Do some seem more ‘Islamic’ than others? For Gruber: What is the ‘logic’ of the talisman and amulet in Islamic societies? Where is their power perceived to come from, and what about the object- its shape, decoration, etc- is believed to contain or channel that power? How is the power of the protective object ‘actualized’? What makes these objects ‘Islamic’? How does Muhammad figure into the world of talismanic production? Did textual amulets require the understanding of the user to ‘work’? Reading 2 (February 22): Muḥammad ibn al-Ḥusayn Sulamī. Early Sufi Women Dhikr an-Niswa Al-Mutaʻabbidāt Aṣ-Ṣūfiyyāt. Translated by Rkia Elaroui Cornell. Louisville, KY Fons Vitae, 1999. Questions: These entries are excerpts from a longer compilation of female sufis’ lives, which is itself an appendix- long lost in fact- to a larger and better known compilation, by the same author, of early male sufis’ lives. Al-Sulamī died in 1021, so he would have lived just a little after many of the women described in these accounts; both he and the women he profiles were part of the formative period of sufism, such that lives such as these, transmitted in other texts, helped form the ‘classical’ resource base of sufism for future centuries. Based just on this selection of sufi lives, how would you describe ‘sufism’? What kinds of attitudes, practices, beliefs, and social relationships seem to make up sufism? How do these sufi women relate to the wider practice of Islam? What makes these various women distinctive such that al-Sulamī would include them in his compilation? How much does it matter for these various women that they are women, in terms of their practice of sufism? What kinds of relationships do they have with sufi shaykhs? With their husbands? With other women? How different, or similar, do you think these women’s lives were from those of other, non-sufi women? Some of these women are described as saints (in our translation, ‘friends of God’)- what makes them holy? What sorts of miraculous powers do they possesses? Week 5, February 13/15: The Formation of Islamic Law, the Rise of Scholarly Culture and Infrastructure. Introduction to Islamic Ritual and the Shaping of Everyday Life. Reading 1 (February 13): Excerpts from Classical Foundations of Islamic Educational Thought: A Compendium of Parallel English-Arabic Texts, edited by Bradley J. Cook and Fatḥī Ḥasan Malkāwī (Provo, Utah: Brigham Young University Press, 2010). Questions: For al-Qābisī (pp. 46-58): This excerpt comes from a longer treatise (al-Risālah al-mufaṣṣilah li-aḥwāl al-mutaʻallimīn wa-aḥkām al-muʻallimīn wa-al-mutaʻallimīn) by Abū al-Hasan al-Qābisī (d. 1012), a Mālikī jurist from Qayrawan (in what is now Tunisia). As you will probably pick up even without knowing much about Islamic law and jurisprudence, while this treatise is about the proper role, shape, and social support for what we would now call ‘elementary education,’ it has the form of a legal discussion, and provides a good example of fiqh (Islamic jurisprudence) applied to a particular question. As you read, pay attention to the following questions: what kinds of issues were at stake in the matter of education? What did Muslims seem to agree upon according to al-Qābisī, and what was there disagreement on? How does al-Qābisī try to resolve disagreements? What are his sources? What kinds of arguments does he use? What kinds of things ought children be taught? Which rituals are the expected to participate in? Why? What are the differences between the education envisioned for boys versus that envisioned for girls? How are students and teachers supposed to relate? For al-Zarnūjī (pp. 145-155): The author of this treatise is rather obscure- he probably died around 1223, and was evidently from the town of Zarnūj in what is now Turkmenistan. He is best known for the work from which this passage comes, which deals with all of the things necessary to be a scholar of Islamic knowledge- which What is the role of the body in acquiring knowledge? What kinds of tools does the seeker of knowledge require? What are the practices and relationships and places that help and hinder the acquisition of knowledge? How would you describe the sort of life a scholar is supposed to lead according to this selection? Part of this selection is devoted to practices and attitudes that ‘increase sustenance,’ that is, increase one’s livelihood and longevity. In these prescriptions, is there a bright line dividing the ‘religious’ and the ‘not religious’? Is there any aspect of daily life that, as depicted and envisioned here, would not have to do with one’s performance of Islam? A late medieval example of a kuttāb, or Qur’anic elementary school, built by the Mamluk Sultan Qaytbay in Cairo in 1477; here the kuttāb combined- as was often the case with late medieval and early modern Qur’anic schools- with a public fountain, or sabīl. Source: Archnet. Above and below, another sabīl-kuttāb combination in Cairo, this one built by the Ottoman amīr ‘Abd al Rahman Katkhuda in 1744. Source: Archnet. Muhammad leads prayer at the beginning of his ‘Night Journey,’ from a Timurid Mi’râj-nâmeh written in Uyghur script. Source: BnF supplement turc 190. Reading 2 (February 15): Moallem, Minoo. “Praying through the Senses: The Prayer Rug/Carpet and the Converging Territories of the Material and the Spiritual,” Center for the Study of Material and Visual Cultures of Religion, August 20, 2014. Questions: What is the relationship of the ‘material’ and the ‘spiritual’ in Islam according to Moallem? How do worshipers modify Islamic ritual using particular material objects? What does an object like a prayer rug ‘do’? LE GRAND JIHAD • soufisme en Tchétchénie (2) from Vincent Moon / Petites Planètes on Vimeo. Week 4, February 6th/ 8th: Expansion West, Political Fragmentation, Economic and Social Dynamics. A view of the Mosque of Ibn Ṭūlūn, built by one of the de facto successors to the ‘Abbasids. Reading 1 (February 6th): Hugh Kennedy, “The Decline and Fall of the First Muslim Empire,” Der Islam 81, no. 1 (2004): 3–30. Questions: According to Kennedy, what is harder to explain, the rise or the decline of empire? (And, by the by, what constitutes an empire?) What sorts of problems do empires often encounter? Is there only one possible trajectory for imperial dissolution? What happened to the ‘Abbasids? What was the role of ‘internal’ developments- those at the ‘center’ of the caliphate- and of more ‘external’ ones, those in the provinces? What kinds of strategies did the ‘Abbasids employ to try and stem imperial decline and dissolution? What was the base of ‘Abbasid tax revenue? What happened to this base? How did successor states and dynasties emerge in the provinces? What did they look like? Reading 2 (February 6th): Walker, Paul Ernest. Orations of the Fatimid Caliphs: Festival Sermons of the Ismaili Imams: An Edition of the Arabic Texts and English Translation of Fatimid Khuṭbas. (London: I.B. Tauris, 2009). Questions: Note that the two khuṭbas presented here were read by a Fatimid caliph (or heir to the caliphate); we will explore further the origins and nature of the Fatimids and of Isma’ili Shi’i Islam in class. What was the purpose of these khuṭbas (addresses or sermons) do you think? What do you notice about their composition, style, mood, and so on? How do these sermons make use of the Qur’an? How might their listening audiences have responded to them? Detail of the al-Aqmar Mosque, an important Fatimid construction. Reading 1 (February 8th): Nāṣir-i Khusraw and W. M. Thackston, Nāṣer-e Khosraw’s Book of Travels = (Safarnāma), Persian Heritage Series ; No. 36 (Albany, N.Y.: Bibliotheca Persica, 1986). Questions: Note that Nāṣir, who died around 1088, was also Isma’ili, which explains some of his allusions, though he does not make much explicit reference to his particular affiliation in our excerpts. As you read, pay attention to how Nāṣir describes things, and what he chooses to describe- obviously there are things he did not include. What made something interesting to him? What can we understand, using this text, about 1) travel and trade routes in the medieval Islamic world 2) rural, peasant, and nomadic life 3) urban life and markets, and 4) everyday religious life and sentiments? Note down things that stand out to you, as well as things that are confusing or strange. Sound: Gnawa music is one of the more important musical traditions to develop in the Maghrib (North Africa), albeit later than the period we are considering. However, we can think of distinct musical traditions such as gnawa as part of the process of decentralization and local variety whose political manifestations are discussed in Kennedy’s article. Week 3, January 28/Feburary 1: Umayyads, Continued. The ‘Abbasid ‘Revolution.’ The Formation and Uses of the Hadith Corpus. Reading 1 (January 28): Rabbat, Nasser. “The Meaning of the Umayyad Dome of the Rock.” In Muqarnas VI: An Annual on Islamic Art and Architecture, edited by Oleg Grabar. Leiden: E.J. Brill, 1989. For more on the Dome of the Rock, including additional papers and essays, as well as numerous images and plans, see the extensive record on Archnet. Reading 2 (January 28): Al-Ṭabarī, The ʻAbbāsid Revolution, translated by John Alden. Williams (Albany, N.Y.: State University of New York Press, 1985). Reading 1 (February 1): Christopher Melchert, “The Piety of the Hadith Folk,” International Journal of Middle East Studies 34, no. 3 (2002): 425–39. Questions: Who were the ‘hadith folk’? Why is a Sunni-Shi’i-Khariji (Kharijite) tripartite division too simplistic for this period? What were the practices that distinguished the ‘hadith folk’ from others? How does Melchert describe the relationship of the hadith folk to God? What kind of relationship did they desire? How did they pursue it? 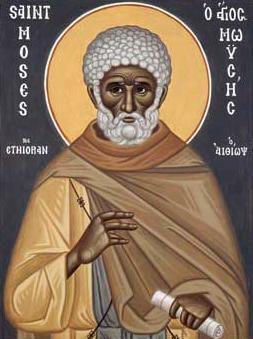 What was their attitude towards ‘prodigious feats’ of asceticism? Why? How did the hadith folk differ from the sufis or the ‘folk of adab’? Reading 2 (February 1): Scott C. Lucas, “Major Topics of the Hadith,” Religion Compass 2, no. 2 (2008): 226–39. Questions: What are the differences between Sunni and Shi’i hadith collections? What is an isnād? A matn? What is meant by ‘canonical collections’? What was the purpose of biographical dictionaries? What kinds of standards have governed the evaluation and use of hadiths? What kinds of topics appear in hadith collections? What are some of the most important ones in terms of overall numbers? How would you categorize or summarize the hadith selected in this article? [Optional Reading]: The Forty Hadith collection of al-Nawawi, available here. Here is another translation of al-Nawawi (click for the pdf), with the Arabic texts included, which might be of interest to those of you studying Arabic. Reading 1: Walker, Joel Thomas. The Legend of Mar Qardagh: Narrative and Christian Heroism in Late Antique Iraq. Berkeley: University of California Press, 2006. 19-27, 33-42, 48-53. Questions: What kind of a character is Mar Qardagh? How would you describe the life of a Sasanian noble as it is depicted here? What values, skills, social ties, and so forth, seem to be most important? How does ‘religion’ figure into Mar Qardagh’s life before his conversion to Christianity? Describe the sort of Christianity encountered by Mar Qardagh. Who are its representatives? What is its relation to the ‘pagan’ Sasanian elite? What kinds of physical spaces seem particularly Christian? How does this hagiographic account deal with violence? What kind of a political message might it be conveying? Keep in mind that it was written at a time when much of the Sasanian Empire was in the process of converting to Christianity, with the political elite taking a much more favorable view of native Sasanian Christians. Reading 2: Ibn Hishām, ʻAbd al-Malik, and Muḥammad ibn Isḥāḳ. The Life of Muhammad. Translated by Alfred Guillaume. London: Oxford University Press, 1955. 79-86, 370-375. Questions: What is the role of Christianity in these stories? How much familiarity does the author/compiler(s) assume on the part of his audience? Describe the Christianity depicted here in your own words- what are its salient features, its representatives, its physical artefacts? How does Muhammad stand out as a young man? Why are these details worth recording? What seem to be the expectations for a prophet? How are other members of Quraysh depicted here? Is Mecca presented as an isolated society? What sort of a structure is the Ka’ba? What kinds of religious traditions intersect in giving it its significance? Compare the depiction of warfare in this selection to that found in the story of Mar Qardagh. Are there parallels? Differences? What is the role of women in these stories? Optional Reading: Déroche, Francis. “Written transmission.” In Rippin, Andrew. The Blackwell Companion to the Qurʼān. Blackwell Companions to Religion; Blackwell Companions to Religion. Malden, Mass. : Blackwell Pub., 2006.